RAFFAELE GAIZO obtained a diploma for clarinet at the "San Pietro a Majella" Music Academy in Naples, for band instrumentation and composition. As instrumentalist he collaborated with the RAI symphonic orchestra of Rome and with “Nova philarmonica” orchestra from 1985 to 1994. He won various prizes in national and international competitions. Moreover has won the national air-force band competition and the national customs service band competion, obtaing the part of first clarinet. He has perfomed in many concerts in different Italian Cities, recording for Edipan and Bongiovanni publishing houses. 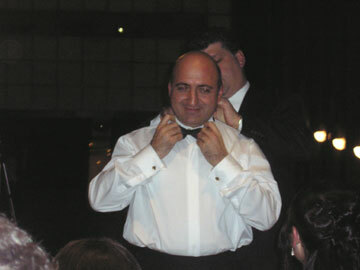 As conductor he progressed under the auspicies of Maestro Bolgiaghi, Maestro Creux and finally Jamale. 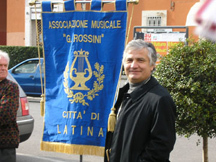 He became vice-conductor in the Carabinieri Band and he conducted many concerts for the cutom servic too. As composer and trasciber he composed marches, concert excerpts for symphonics bands and chamber music. Some of these have been published. He transcribed for big band in the Ouverture “Candide” by Bernstein which was perfomed by the national customs service band in the Rome Opera Theatre snd afterwards is was shown on the RAI Uno television channel. He organized ten concerts for the Ardea philaemonic society, where he is the artistic manager. ANTONIO FRAIOLI , gained top marks in his diploma for clarine and jazz at the Latina Academy of Music under the direction of the Maestro Francesco Belli and Antony Pay. 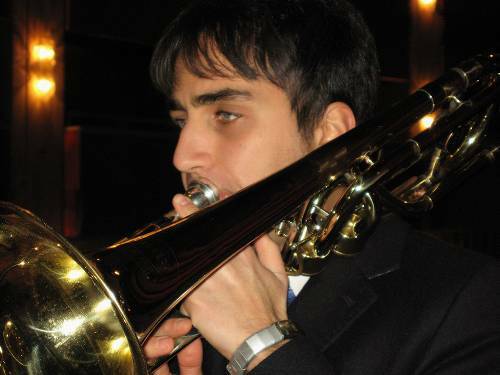 He won the first prize for wind instrumentalist in the third edition of the international music competion (which takes place in differente European Cities). He is qualified to teach wind instruments in the academies of music and at present teaches and the “Martucci” Academy od Music in Salerno. 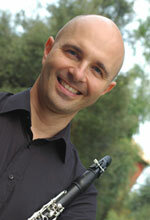 He gives concerts in Italy and abroad both soloist and in various groups for chamber music. 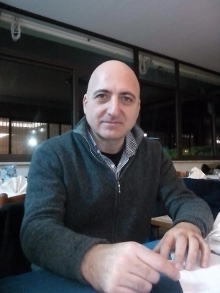 He has recorded for Edipan, Eurarte and Vatican Radio. He is the author of compositions, trascriptions, revisions, arragements of traditional jazz excerpts for many publishing and recording groups.